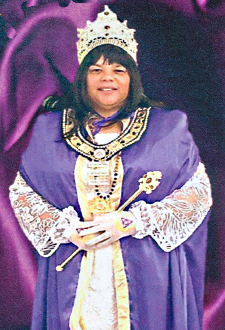 R Lucille Samuel is the 1st Grand Royal Perfect Matron of the newly constituted Margaret A. McDow Grand Court Ladies of the Circle of Perfection. The Ladies Circle of Perfection (or LOCOP as it is more often seen) is the ladies auxiliary to the Most Illustrious Prince Hall Grand Council Royal & Select Masters of Texas, PHA. We are charitable and benevolent organization whose membership is actively involved in serving the community, supporting the youth and granting assistance.